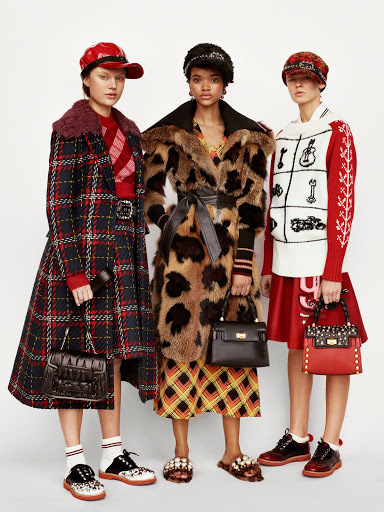 The Pre-Fall Miu Miu collection mirrored a period film, teenage bobby-soxers and elegant pieces set in the historic Harlem, NY. 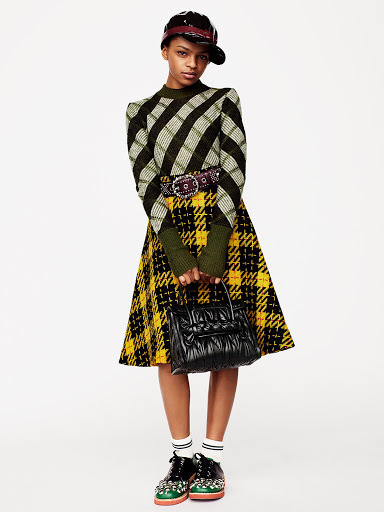 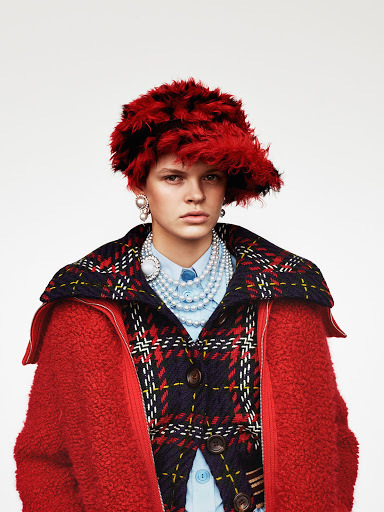 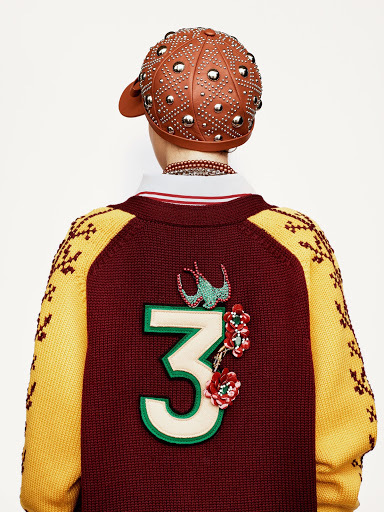 Miucia Prada in the past has steered towards the ’60s, ’70s, or early ’80s, but this time her ideas went way back. 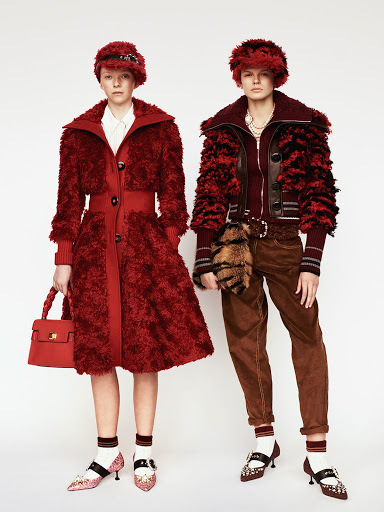 The 40's to be exact! 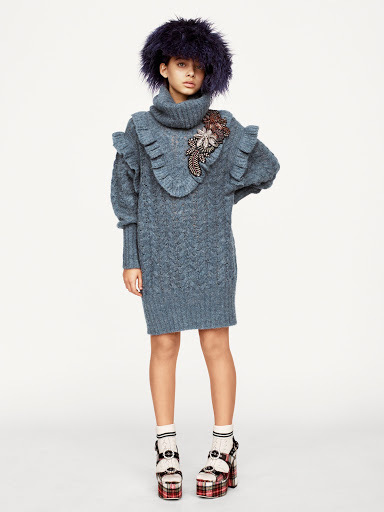 For the uptown ladies: graceful ankle-length dresses, giant velvet silver-studded wedges, and glam teal-and white or pink-and-white fur coats and chubbies. 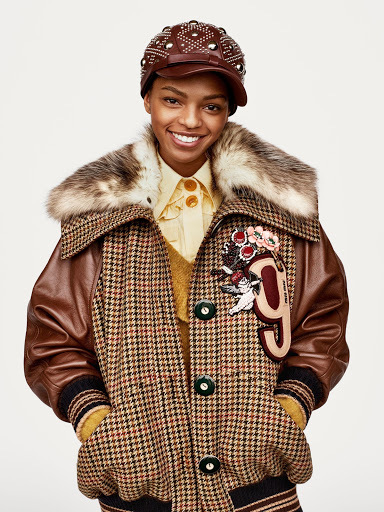 For the ’50s teenagers: The entire kit of blanket-check wool A-line skirts, varsity jackets, and high-waisted blue jeans or brown corduroy workwear pants rolled up at the hems to display socks with chunky golf shoes or pointy low-heeled Mary Janes, and loads of furry or leather baseball caps.